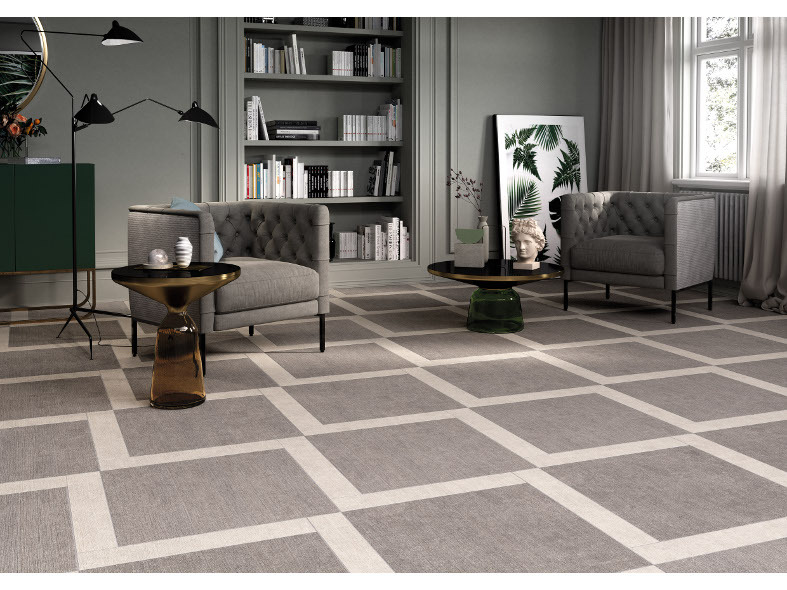 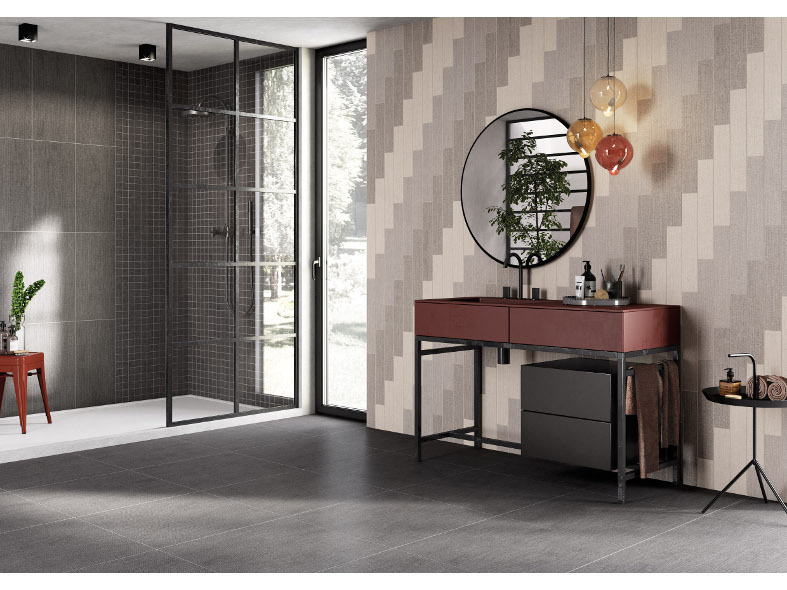 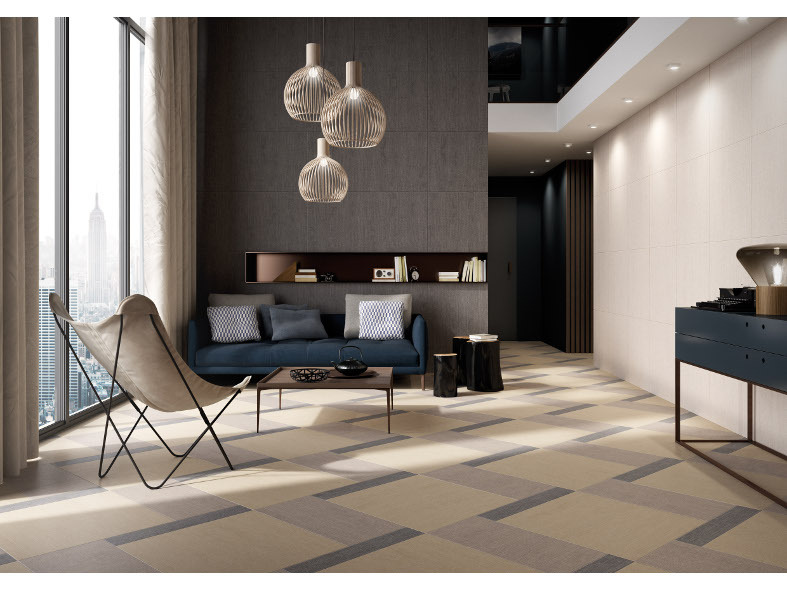 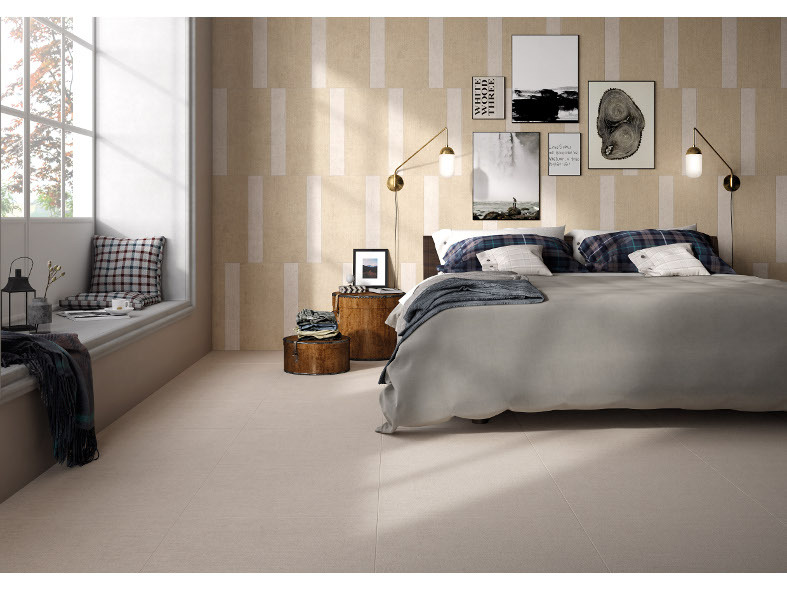 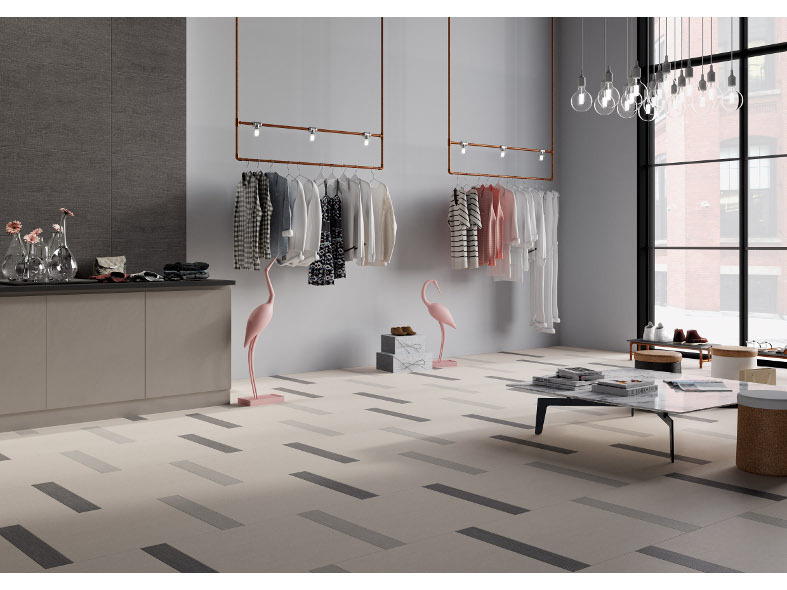 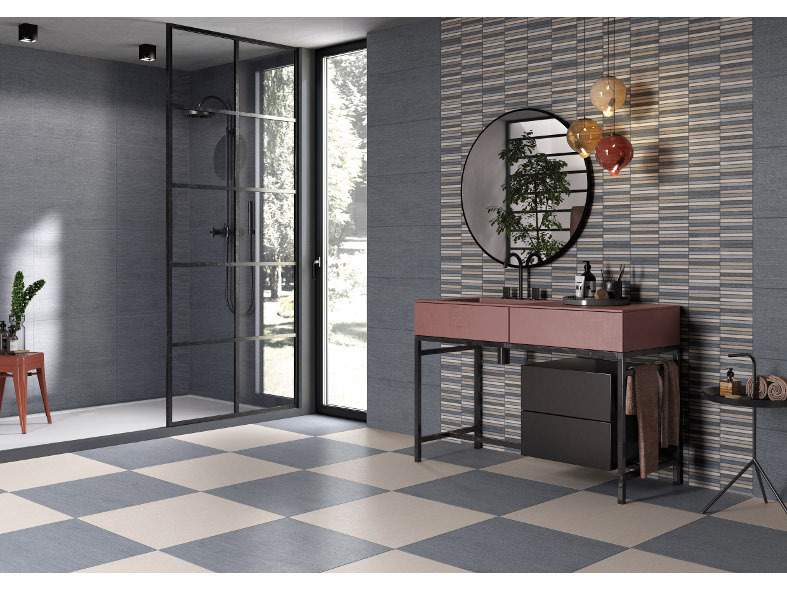 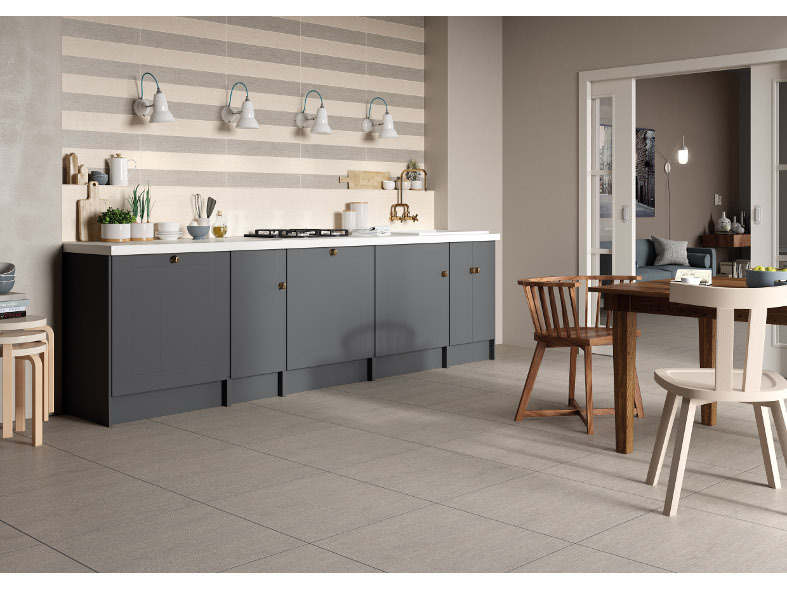 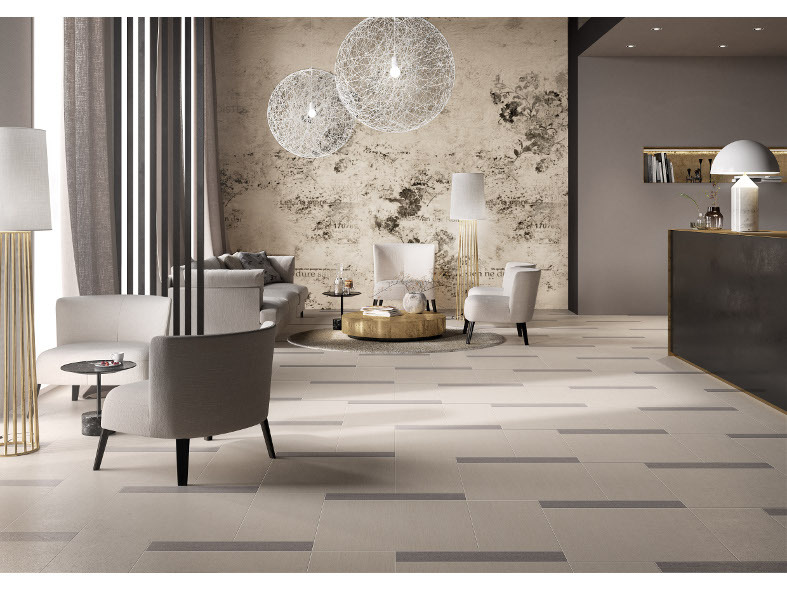 The new series of tiles takes its inspiration from the fashion of the Seventies, combining fabrics and geometric patterns into an original, truly distinctive ceramic project. 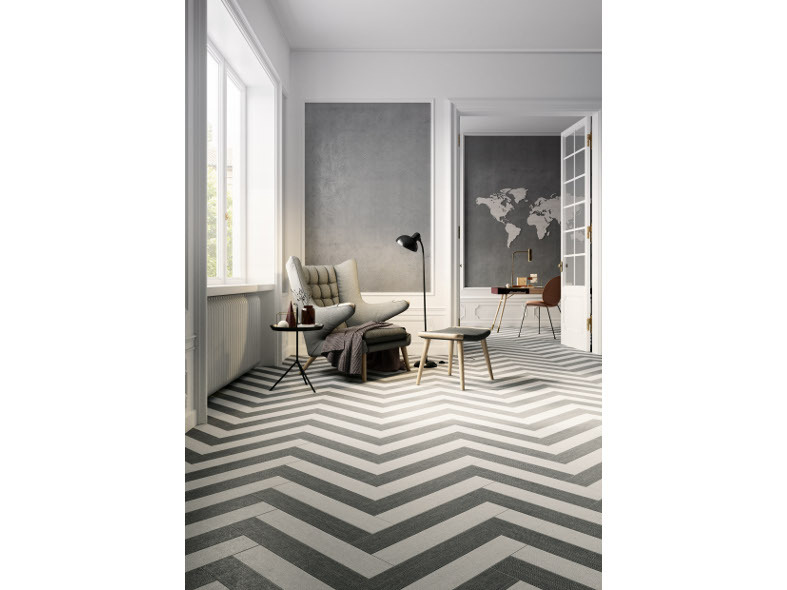 Captivating textile textures thus take shape in a superbly appealing collection with a cosmopolitan character, ideal for bringing a unique, inimitable touch to both residential and commercial settings. 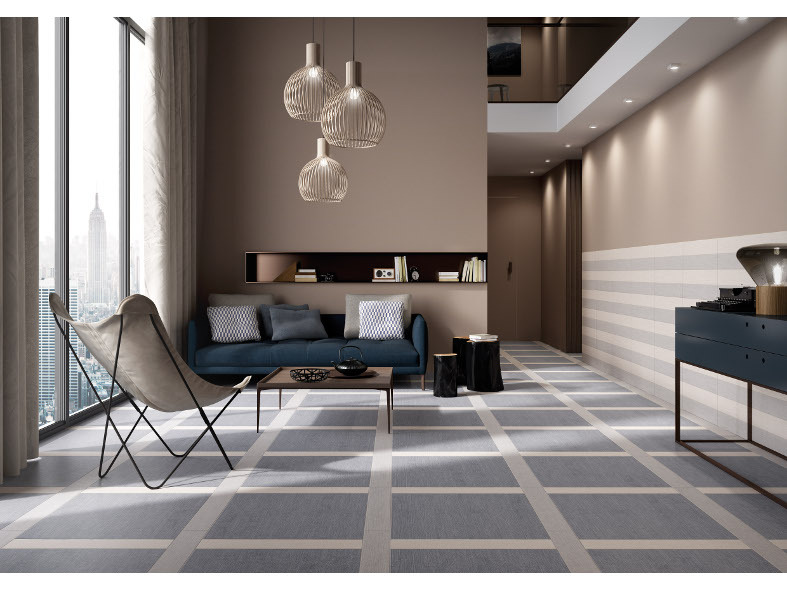 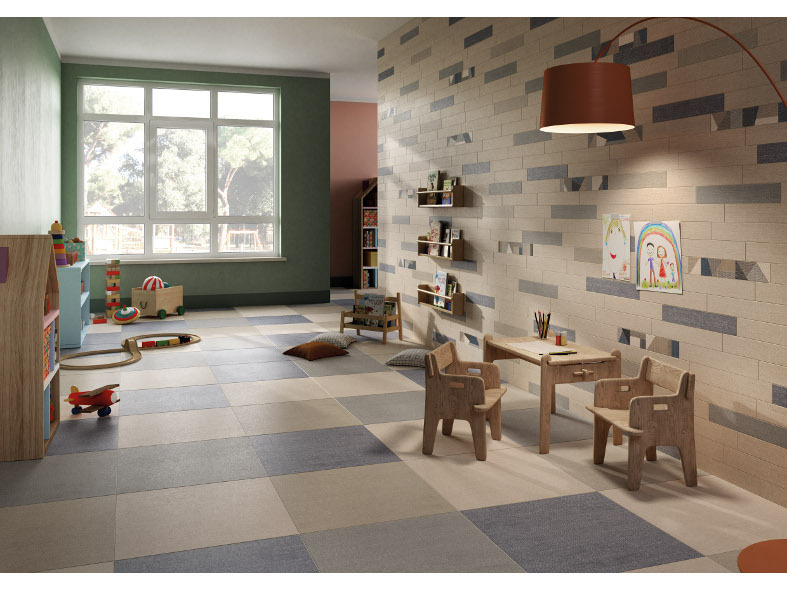 There are six shades in the collection: White, Beige, Grey, Light Grey, Dark and Blue, for creative projects. 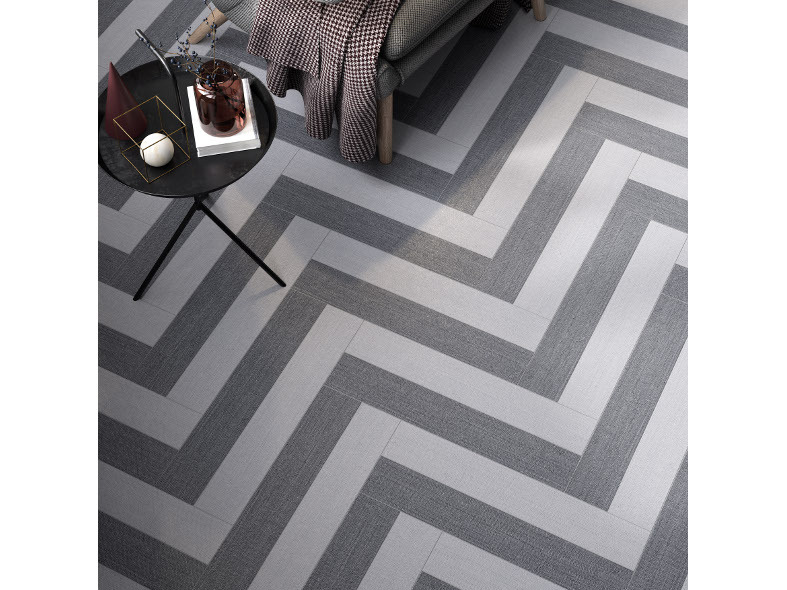 A variety of sizes are available: 60x60, 60x60 gran fuoco decoration, 30.5x60,5, 30x60, 7.5x45 and 7.5x45 with gran fuoco decoration.